1 – Log in to your Facebook account and click on your name in to display your Timeline. 2 – Click the About link. 3 – Click the Contact and Basic Info link in the left-hand column. 4 – Hover your mouse over the “Birth Date” line end click the Editbutton that pops up. 5 – Change the Month, Day and Year to reflect the date of your actual birthday. While you’re here you can optionally hide your birth date from everyone but yourself, and I strongly recommend that you do that. Your birth date is one of the most important pieces of information for a scammer to have in order to steal your identity so hiding it from everyone but yourself makes sense. Open the Facebook app and log in to your account. Tap on your tiny profile photo (the one beside the box where you type status updates) to display your Timeline page. Scroll down to the “Basic Info” section and tap the pencil iconbeside your birth date. You should now see your birth date listed on two separate lines. Change your birth month, birth day and birth year to make them reflect your actual birth date. While you’re here you can optionally tap the privacy level iconson the right and hide your birth date from everyone but yourself, and I strongly recommend that you do that. Scroll all the way to the bottom of the page and tap Save. That’s all there is to it. 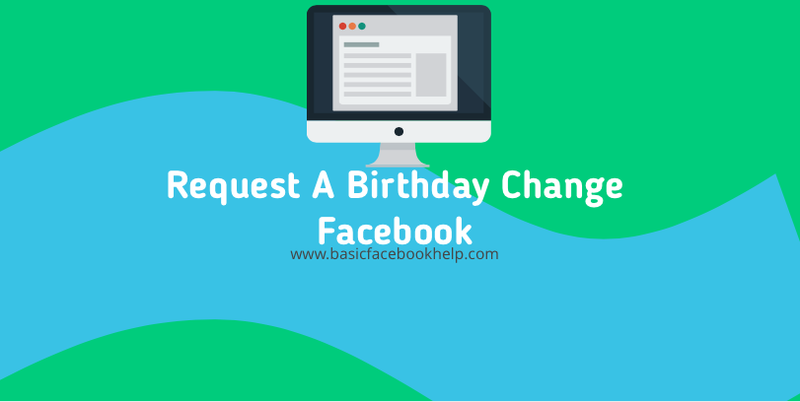 The birth date on your Facebook profile should now be correct. I hope this helps Mandy. Good luck! Update from Mandy: Worked like a charm. Thanks Rick! Bonus tip #1: This post explains how to prevent your Facebook account from being cloned by hiding your friends list from the public.